Educational information about 3D Printing. How to guides, helpful information about printing, information for schools. One of the great things we like to do here at 3D Filaprint is to promote 3D Printing throughout schools in our local area. 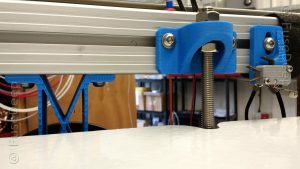 Over the last year we have worked with some fantastically creative students and helped them gain an insight into 3D Printing. As well has having fun all our students gained experience and knowledge helping them take 3D Printing into the wider business environment. We like to think that we have given them just a little spark of what can be achieved in the future of 3D Technology. More about that in our 3D Medical Blog. What makes us even more proud is to see just how much our part in working with Career Ready has helped towards creating new life chances for the next generation. Sarah Morton of Career Ready sent us this message of thanks. Thank you for giving your time over the past year to help young people prepare for work. Working together, we have achieved a great deal over the past year, helping almost 7,000 students prepare for work. Research shows that adults who recall four or more engagements with an employer while at school, are five times less likely to be NEET (Not in Employment Education or Training) and earned, on average, 16% more than peers who recalled no such activities (research by Dr Anthony Mann, Director of Research and Policy, Education and Employers Taskforce). Your efforts have contributed to changing life chances. We have created an infographic to say Thank You. This was created by Fraser McKay, a Career Ready student who joined the team this summer. Thank you Sarah for giving us the opportunity to help a little. 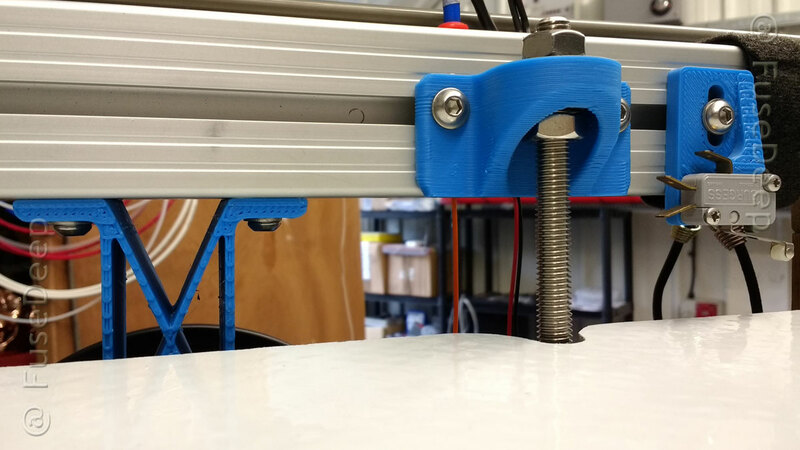 We have recently run an afternoon workshop event introducing final year students to 3D Design and Printing. Next is a presentation to 3rd year students with Dr Kholoud Mohseen of the Essex University. Details of the event will be posted at the end of October 2017. The afternoon session was a triumph the students loved it – we have three more planned in the near future. Watch this space……Next is a presentation to 3rd year students with Dr Kholoud Mohseen of the Essex University. Details of the event will be posted at the end of October 2017. Richard Grant works globally and in the UK delivering difficult tech and creative projects for Film studios, artists and private clients. He is a Disruptor and Innovator. Loving to Hack, make and produce. This includes mentoring and making useful and incredible connections. His LinkedIn profile and IMDB reads like a Who’s Who of inspiring and creative projects spanning the last 20 years. Working from his studio Near Windsor, West of London, he runs “rgproduct” and @FuseDeep as a Freelance Creative Director. Richard innovates in many areas and most recently in 3Dprinting. Constantly developing and creating ideas for multiple industries. 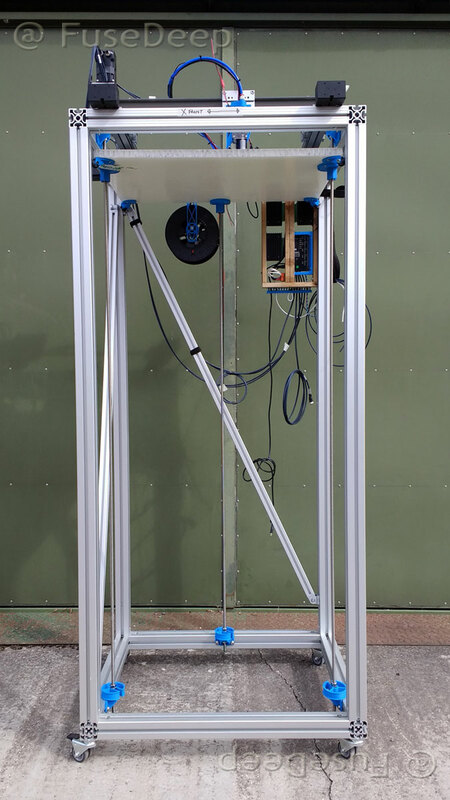 Richard has been honing his 3D skills and has worked on some notable projects such as an LED lit, oil matrix lightweight nodal structure for BP, which was suspended above delegates heads at a corporate event, and a fully working scissor lift, modeled from scratch to hold a £1M present. You can find all these projects on his LinkedIn Profile. We spoke to Richard and asked him what it was in particular he loved about working with 3D Filaprint products? 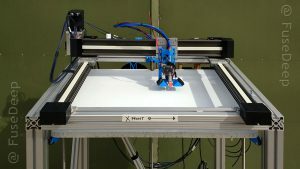 When did you first become aware of us and how did you find out about 3D Filaprint? Around 3 years ago I was looking for a good, reliable, high quality British supplier with a fast delivery service. 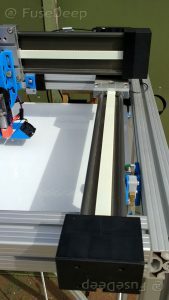 I searched the web and found 3D Filaprint. Since then I have built a great relationship with Tim and his team. How have you found our service and products? I’ve been combining fine art with high tech design to create some amazing pieces. Tim is like my #3Dprint Filament R & D department and always has time to discuss pro’s and con’s of using particular materials. 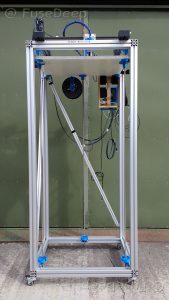 If I have a particular project and am not sure about how the material might respond to the need (for use with one of my MakerGearM2s) I know that I can call Tim, discuss a project with him and he will usually have some great advice for me. We often chat to develop ideas, it is a two way street. What do you like best about our service and products? The two way conversation I have with Tim. It’s not just a sale, it’s about building a community of knowledge. He spends time with customers and because of his knowledge of the industry and it’s fast paced developments and products he’s great to discuss ideas with. 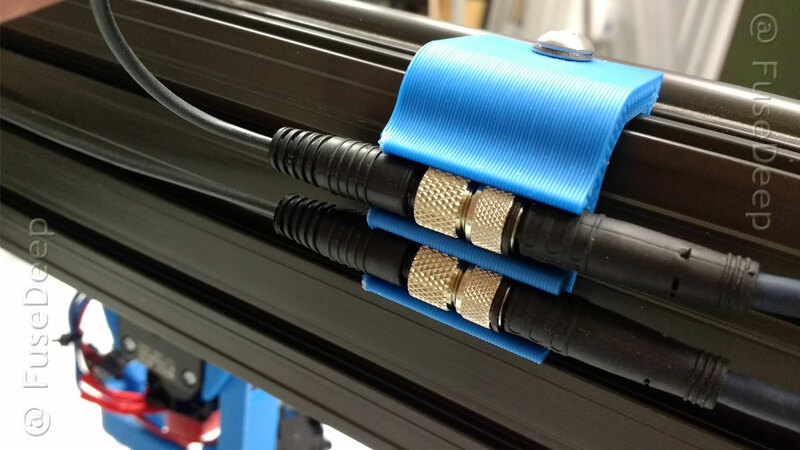 Tell us more about the use of the Skyblue PLA in your last project. What did you make and why? Did you design it yourself or use a template? 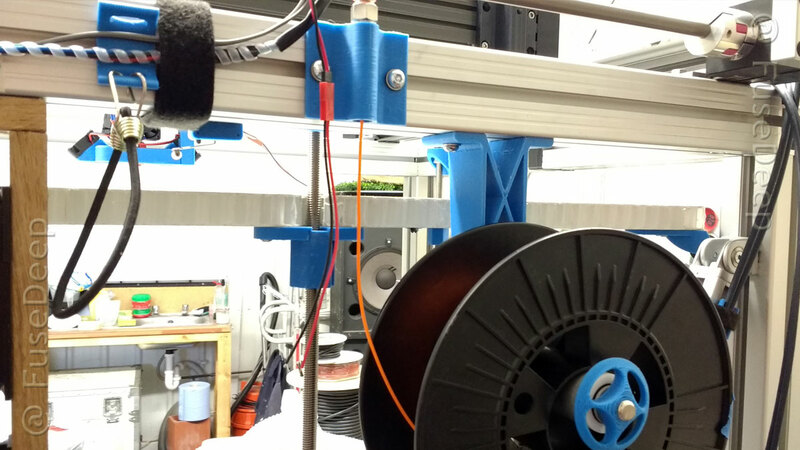 The parts were created from scratch to enable the creation of my very special 3Dprinter. It is special as it uses polymer slide bearings so can be used in most environments.This followed on from a collaboration with the German company IGUS, worldwide manufacturer and distributor of plastic plain bearings, spherical bearings, linear guides, cable carriers and continuous-flex cables. Using the gantry as the focus of the project I created a plethora of parts for a 3D printer build project. 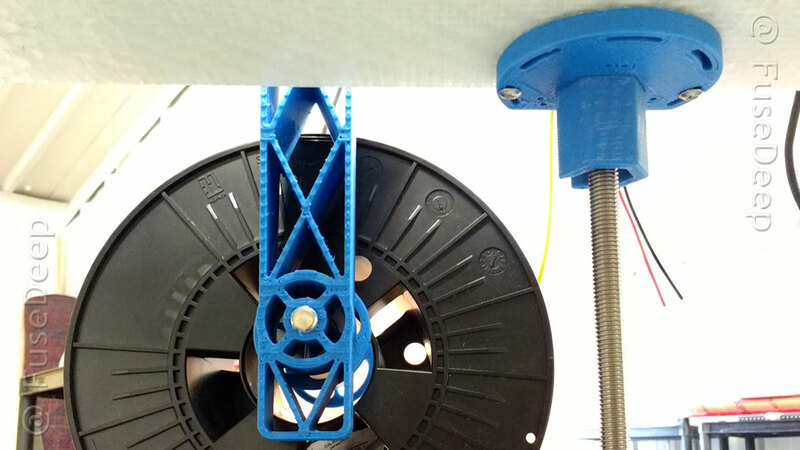 Use PLA as it’s safe to print and quick and easy to use. How long did it take to print? 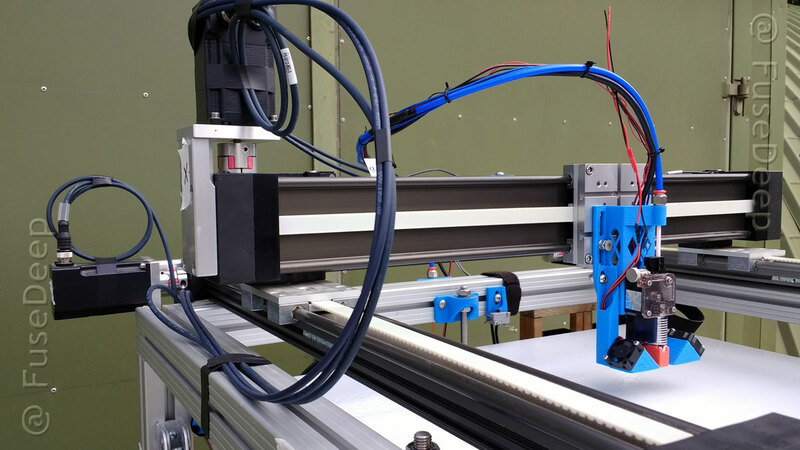 I iterate and apply constantly, since commissioning the gantry and chassis I have taken me about 3 weeks to get from gantry and chassis to 80% complete, which was about 10 – 15 days solid work. 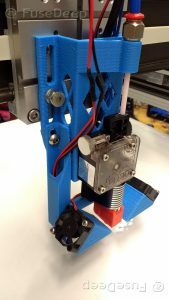 I was able to run the project faster as one of my MakerGearM2 printers has been engineered to run faster. What other projects are you running using 3D Filaprint filament? Many of my projects use filament supplied by Tim. There are lots and very varied applications! What advice would you give to children and young people who are at school and would be interested in pursuing a similar career? Get good at 3D modelling, understand the use of tools and your hands and combine 3D technology with traditional understanding. Thank you to Richard Grant for taking the time to speak to us briefly about #3Dprojects, #3Dcommunity and #3DFilaprint. If you need some inspiration take a browse through the amazing filaments we have in our store on our filament guide. You can also give our team a call for more advice 01702 611027. Like us, Join us or both!